There are 3 finished books in the Lucius Ever After series so far: Angelcake, Thump Whoosh and Valentine&apos;s Baby – about 1250 pages in total... Editing & proofing to a standard suitable for others to read is however, taking much longer than expected (even with the generous help of a skilled proofreader). I aim to post chapters every Thursday, which I announce immediately on my Twitter. I am REALLY interested in having a presence on Wattpad; I find the clean format is a lovely alternative to my digital flipping book that some people have found harder to read on the go. I will try to post chapter(s) here on Wattled at the same time, but I am a pretty self conscious about typos, so I will probably post books in their entirety here at the end. *If you enjoy reading on Wattpad, please do let me know and I will make a bigger effort to also post in serialised format here. I love writing this series and I hope you will enjoy reading. If you fall in love with my version of Lucius and his new people and want more, you will find lots of extra content on my website. There are the charming digital flipping book versions, faces to characters, music selections, a glossary and deleted content, as well as related personal details and images. There are also mounting curiosities not yet posted – like recipes for foods mentioned in the books and celebrities I&apos;ve secretly outed as Magical in my mind. (especially those for whom Lucius Malfoy is a guilty pleasure). For every good man who has had an impossible decision to make. wonderful words and images gave me during some dark, dark days. ...And for myself – it was the only way I could see him again. 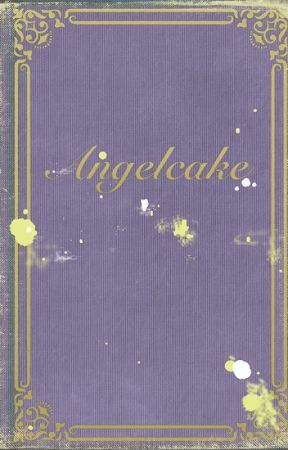 Angelcake and the series it belongs to is a derivative. It is a free fan fiction. It makes me happy. I have written it for the love of writing, with the full knowledge that I will not be able to sell it and with no plan to... Although most of the characters are mine and the writing is of course mine, I have included some characters, concepts and basic background plot that belong to J.K. Rowling. I make no claim to any of Rowling&apos;s original work, or claim that my ideas and additions are a replacement for her phenomenally well known and frequently re-worked original writings.